Long time readers of my blog would know about my love for travel especially long bike trips. 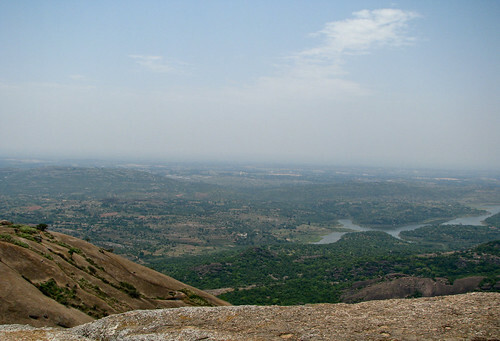 This past weekend me and Aswin along with a couple of friends planned for a trip to Devarayanadurga. But then we came to know that there was some local festival in that area and after some drop-outs, three of us (me, Aswin and his roommate) finally decided to go to Savandurga. We started at around 6 AM on Sunday and started driving towards the nice road. From Nice road we went to Mysore road. After crossing Wonderla we stopped for having breakfast. From Mysore road we took right towards Magadi Road and reached Savandurga at around 9:00 AM. 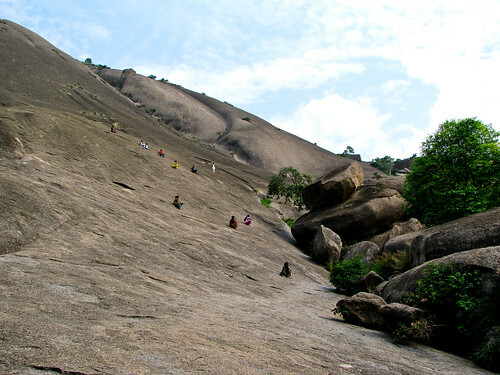 The main speciality of Savandurga is that it is one of the largest monolithic rocks in the world. 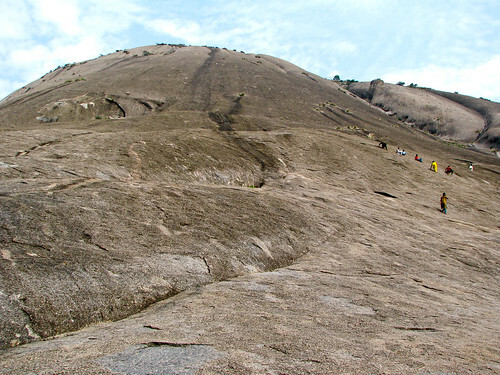 It is very smooth and bald and is very difficult to climb since you have no steps or support. You have to literally walk, climb, roll or crawl to get to the top. On the way you also have to pass through some caves, trees, ruined forts and patches of long grass. There are markings in the rock which shows you the trail that you have to follow. We started climbing at around 9:30 AM and reached the top at around 11:00 AM. By the time we reached top, we were tired but the view from the top was really worth it. 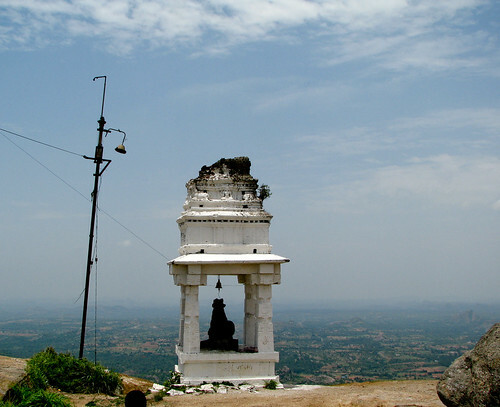 There is also a small structure on the top with a Nandi statue. 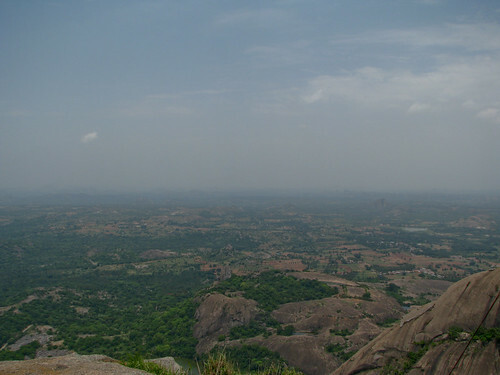 We spent around 90 minutes on top and after a couple of photo-shoots, we started to climb down at around 12:30 PM. Climbing down was tougher than climbing up, since it was very steep and you don’t have much to grab on. It took us around an hour to climb down and once we were down, we clinched our thirst by drinking lot of tender coconuts. While coming back we came through the Magadi Road and reached city at around 3:30 PM. It’s a nice place for a one day trip/trek. Climbing the hill was a nice experience and the view from the top makes it really worth it. You can also check out the other photos which I took from my Flickr page. PS: I went for a trip to Malaysia towards then do April and I am yet to blog about it. Will do it soon once I get some free time.